We have also found some tanks may need deeper thread taping out to acheive more than a couple of rotations in. I have a listing for our machined weld on bungs, which will use up around 3/4 of the thread length. 9/16" ( 13.5 mm ) outside diameter measured at the larger end of the taper 18 T.P.I. thread. Not an alloy casting ( like those that kept shearing off ) but made from steel. 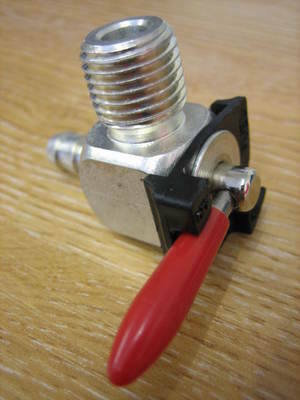 The square body measures approx 17mm with a 15mm thread length.